At Arbour Care we hand select our carers, training them to our high standards and ensuring they too are well looked after. This means that we can be confident that you are getting the best care from the best carers. We are pleased to say that our live in carers stay with us for a long time and give us very positive feedback. Our carers are some of the most compassionate, skilled and caring individuals that Christina has come across in her 30 years of working within the health and social care industry. They have a natural vocation for the work that they do and understand that one size doesn’t necessarily fit all with regards to the types of care people need. This understanding is why we carefully select and assign our carers during the client assessment stage. Inviting a new person into your home can require a small level of adjustment; however our carers are trained to adapt to your timetable and lifestyle, ensuring that you remain in control and feel comfortable in your own home. We would never place a carer into your home that you did not feel completely at ease with. 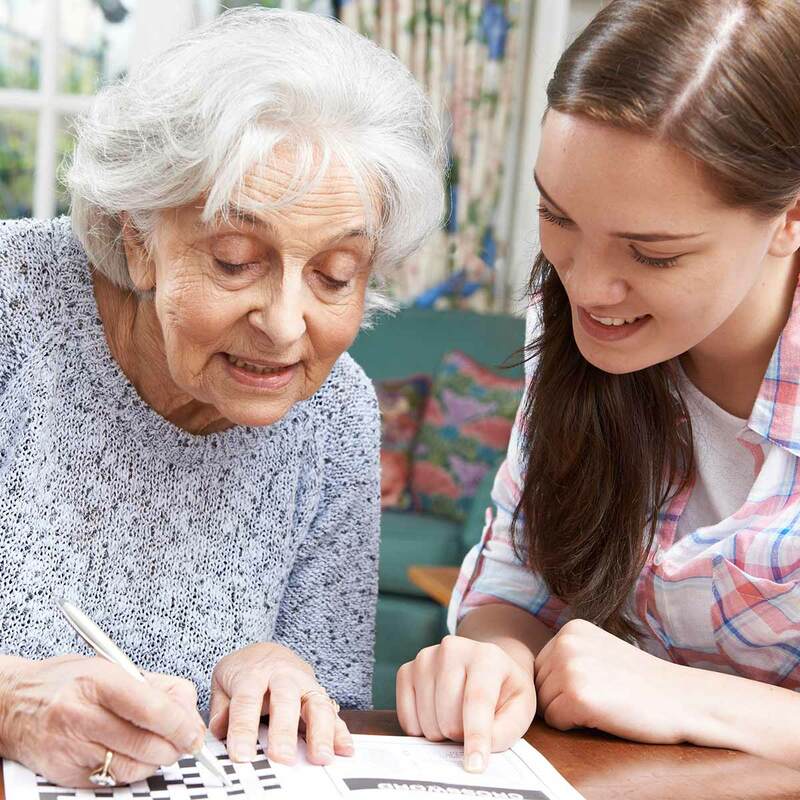 We have the utmost confidence in our carers; we train and develop their abilities to ensure nothing but the best live in care service is offered, whilst also employing a qualified, professional assessor to supervise and manage their work. We take very good care of our carers as the work they do is deserving of recognition and respect. Our carers provide a 24-hour live-in service. This means they are on hand to cope with any situation. Generally, carers work throughout the day, helping you with whatever you need them to do. Carers work for approximately 4 weeks at a time, then take either 2 or 4 weeks of personal time. During their weeks off, we provide another carer who is just as well suited to you and your needs. So you carer can live comfortably, we ask that you provide a clean, warm room (size is not important) and 3 meals a day. It is your decision how involved they are at different times - for example, you do not have to eat with them unless you would like to. Everybody makes the arrangement that suits them and their lifestyle the best. We recognise that many people are new to having live in care and may feel concerned about how the relationship between them and their carer works and, more specifically, may want to know how the domestic arrangements will work. This pamphlet is designed to help you adjust to having a carer living with you and to ease the way as you begin to form that special bond between you, your loved one and their carer.